Business cards are cards bearing business information about a company or individual. They are shared during formal introductions as a convenience and a memory aid. A business card typically includes the giver’s name, company or business affiliation (usually with a logo) and contact information such as street addresses, telephone number(s), fax number, e-mail addresses and website. Before the advent of electronic communication business cards might also include telex details. Now they may include social media addresses such as Facebook, LinkedIn and Twitter. Business cards are printed on some form of card stock, the visual effect, method of printing, cost and other details according to your preference. 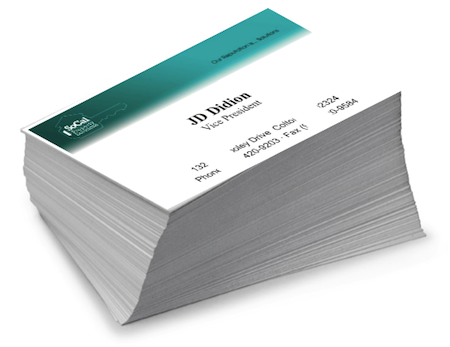 Generally, business cards are printed on stock that is 350 g/m2 (density), 45 kg (100 lb) (weight), or 12 pt (thickness). Let Mozip create a business card for you to leave a lasting first impression!